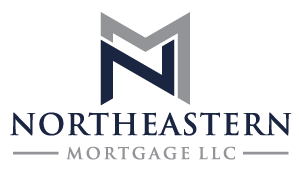 Northeastern Mortgage LLC is a leading mortgage brokerage company that can arrange the best loan products available such as of Conventional Fannie Mae/Freddie Mac, FHA, VA, USDA, first time homebuyer, residential and commercial loans. "I know it wasn't easy to find a loan given the nature of my credit but you did and I thank you." "I just wanted to let you know how much all of your help has influenced my life. " 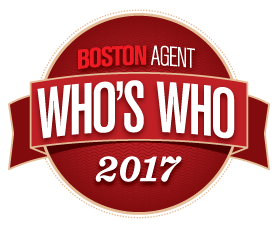 "We are so happy and are very Lucky to have you throughout the home buying process with us." "I trust you and will continue to use you in the future." "Just wanted to say thank you for the Refinance. My wife and are very happy with the way it went. "I'd like to thank you for all your help and support, we finally have the home that we wanted." "Thanks for making this new chapter in my family's life a dream come true." "You have been great to work with, and have worked very hard to make this purchase happen." "I was a bit discouraged and was about to throw in the towel, but you came throug with a great option for us"
"It wouldn't have happened today without your concentrated efforts." So you would like to finance a new condominium, single or multi-family home you have your eye on? Or maybe you’re interested in an investment property or a PUD? Rest assured, we have the right program for you; in most cases as little as a 3.5% down-payment will get you started! Depending on your needs, we arrange government, conventional Fannie Mae/Freddie Mac, jumbo and portfolio loans. We do the leg-work for you and will act as your liaison between all parties involved in your purchase. We work for you! There may be no better time than now to secure a new, more favorable loan then the one you currently hold. We will work hard for you to make it happen! Whether your goal is a lower payment and interest rate, debt consolidation, cash-out or home improvements, we are committed to guiding you every step of the way. We would be happy to discuss these and many other options available to you. Also, be sure to ask us about our NO POINTS/NO CLOSING COSTS options. Whether it's new construction or a rehabilitation you are seeking, we can place you with the right investor and loan. We can arrange straight construction loans as well as FHA 203k rehabilitation loans. Specializing in personalized mortgage solutions to match each client's situation, goals and needs. Content Copyright ©2019. Northeastern Mortgage LLC. All rights reserved.